Rasool and De Bergh (1970) mention that nitrogen was accumulated in the atmosphere because of volcanic activity. On the other hand Lovelock (1972) and Lovelock and Margulis (1974) speculate that without the biosphere the Earth's atmosphere would be as depleted in nitrogen as the atmosphere of Mars. According to these authors the nitrogen abundance in the Earth's atmosphere is about 1010 times larger than its equilibrium value under our conditions. Lovelock and Margulis (1974) also think that our atmosphere would lose its nitrogen content rather quickly if the biosphere came to an end on the Earth. Thus, under the effect of external radiation and electric discharges N2 would oxidize rather rapidly. The nitrogen oxides would dissolve in ocean waters to give nitrate ions. Because of these processes, both N2 and 02 would be quickly removed from our atmosphere and this latter would consist only of argon and carbon dioxide. Lovelock and Margulis (1974) mention that this phenomenon is ineffective on Venus since the atmosphere does not contain oxygen, there are no oceans and the temperature is much higher than in the Earth's atmosphere. Sillen (1966) assumes that it is not impossible that some marine biological process rapidly transforms the nitrate ions to N2. This phenomenon would use the oxygen of nitrate ions for some oxidation process in spite of the presence of 02. However, he also states, that such organisms have not been discovered. This means that the explanation of the anomalous high nitrogen content of our atmosphere remains an open question. Nevertheless we cannot exclude the possibility that this high atmospheric N2 level is somehow due to the presence of the biosphere. In other words this means that the atmosphere as a part of the biosphere (Lovelock and Margulis, 1974) is in a disequilibrium which is a characteristic state for living systems. It follows from this discussion that in this field there are many problems to solve. 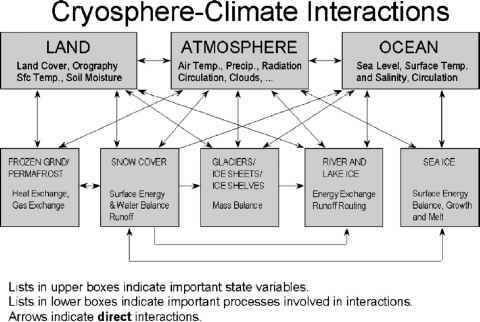 It is indisputable, however, that the atmospheric cycle of N2 is regulated by the biosphere. The atmospheric N2 is utilized by certain bacteria in the soils and aquatic systems by transforming it into nitrogen compounds which are useful for the biosphere. From dead plants and animals the nitrogen returns in the soil and into ocean waters where the denitrifying bacteria liberate it in gaseous molecular form into the atmosphere. The strength of this biological N2 source is estimated to be around 1091 yr "1 (Lovelock and Margulis, 1974). The total nitrogen content in the atmosphere is 3.9x10'5 t, as can easily be calculated from the mass of the atmosphere (5.15 x 10151). Thus, formula [1.1] yields a value of 3.9 x 106 years for the residence time of this component. This biologically governed cycle is now in some measure disturbed by the activity of mankind. According to Soderlund and Svensson (1976) the total abiological nitrogen fixation was 0.055 x 109 t yr"1 in 1970 and its value is increasing at approximately 4% per year. This anthropogenic N2 fixation is due partly to the production of nitrogenous fertilizers and partly to the combustion of fossil fuels. These latter authors estimate about 0.3 x 109 t yr-1 for the total value (biological-(-abiological) of N2 fixation which is about one-third of the rate of fixed nitrogen production given by Lovelock and Margulis (1974). In any case it can be concluded that the abiological nitrogen fixation seems to be small compared to the total nitrogen quantity in the atmosphere. However, anthropogenic production tends to be localized, and to produce high concentrations where it occurs. Hence, it may have effects on biological nitrogen sinks larger than its average global value would suggest. Much more research is needed to determine the consequence of this anthropogenic modification.